Identify your ideal customers. Learn where they hang out and how to get in front of them and speak their language. Make them love you. We asked Trevor and Nichole to help us position Vervoe in the market and build a scalable, digital distribution machine. Obsessed with the “ideal customer”, they took us on a journey that changed our approach from ‘get customers’ to ‘get the right customers and help them succeed’. The outcome was an execution-ready marketing and customer success plan and a long-term partner in Inturact. Read everything below and then fill out the form. If this service isn’t what you’re looking for, but you still want to contact me, please fill out a different form. As a contractor, I charge 100% up front. Nichole is the most passionate, hardest working, fastest learning, fiercely loyal person I’ve ever met. Period. If you get the chance to work with her, not only will she deliver amazing results in whatever she’s doing for you, you’ll never be the same (in a great way!). When Nichole speaks (or writes, or shares curated content, etc.) you’ll listen if you know what’s good for you. No more guesswork! Get an executable strategy grounded in research to grow your B2B SaaS startup the right way. Are you wondering if you’ve got the most up-to-date tools, and if you’re keeping up with the cutting edge? Guess so? Guess not? It’s time to stop guessing. 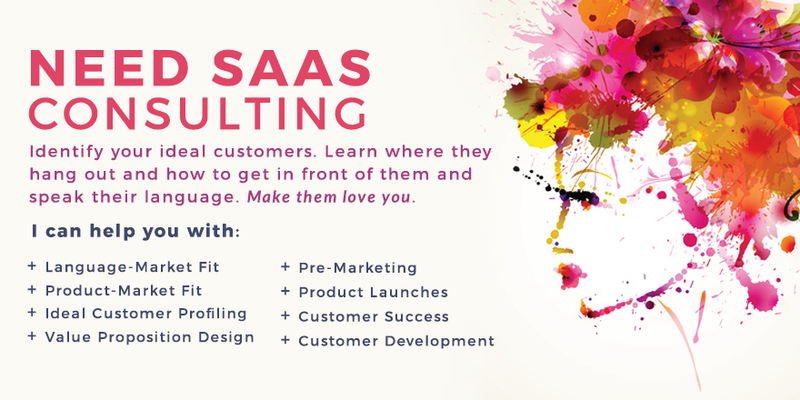 I’ve been developing growth strategies for top SaaS companies for over a decade and I am offering B2B SaaS consulting for new clients. When you fill out the form (and if we determine our expertise will, in fact, benefit you), we’ll collaborate to create a tentative consulting calendar that works for you. Nichole is one of the most insightful and effective marketing experts that I’ve had the pleasure to work with. She is one of those rare people who I hesitate to call talented, because it would be an insult to the work and experience that she continuously puts into improving her skills. Her marketing superpower is in uncovering opportunities which not only increase visibility and brand trust, but which do so by actually improving the ability of the company to delivering value to customers over time. She also habitually passes her knowledge on to those around her, which I have been fortunate to benefit from on many occasions. We’ll meet for one, 90-minute phone calls each week to focus on what you need most, so you can grow your company with confidence – and stop guessing altogether. Depending on the stage your SaaS is in, I will take you through problem-solution fit, language-market fit, product-market fit, and finally, to scale. Problem-solution fit: You have a problem worth solving and it rings a bell with your ideal customers. Includes Customer Development. Language-market fit: You have a strong value proposition, know how to speak to your ideal customers, know where they spend their time, and how to get in front of them. Includes Customer Success. Product-market fit: Being in a good market with a product that can satisfy that market. Scale: A strong growth strategy rooted in your Customer Development and Customer Success initiatives. At the end of the engagement, you will know your ideal customer, where they hang out, and how to get in front of them and speak their language. You will have a playbook with an executable strategy for early and long-term traction. Nichole and I worked together on Inbound.org, where she was an invaluable contributor to and moderator of the community. Thanks to her help Inbound’s audience, participation, and quality grew dramatically. Nichole is one of the most intelligent, dedicated and trustworthy people I have ever worked with. She has an innate ability to be ahead of the curve in the digital world and has set new standards in my book as a marketer and consultant. She is a connector and anyone around her will be instantly better connected being around her for a short time. I can’t recommend Nichole enough for almost any type of marketing consulting. Passion. That is one word that encompasses all that is Nichole Elizabeth DeMeré. She is by far the most passionate person I have ever had the pleasure of connecting with, and it shows in everything that she does. She has unparalleled enthusiasm for learning and applying what she learns to whatever project she is working on, and is the type of person who loves to help others grow and learn as well. I highly recommend her as a consultant, a mentor, a friend, and a person to know. Her insight is invaluable to anyone in the Growth Hacking, Community Management, SaaS, Product Development, or Tech in general. Nichole was a great contributor to the inbound.org team, helping us unlock some growth opportunities and build the community. I worked with Nichole on GrowthHackers.com and she helped spur early growth for the platform with a clear understanding of engagement, retention and key metrics to improve and grow a community. Her passion for whatever project she is working on is her biggest strength. Had a great call with Nichole. I recommend you hire her for help with your SaaS qualitative research / value prop stuff. Nichole is a one of the more talented and dedicated individuals I’ve met in the Growth Hacking and Community Management sphere. Always thinking out of the box (or more like, there is no box), Nichole is a huge resource of knowledge producing huge success for every project and client she works with. Nichole is one of the most well-rounded individuals I’ve had the pleasure of connecting with professionally — she puts 100% effort and passion into every project. Not only does she have a high level of knowledge in various fields (Customer Success, Community, and Growth Hacking among them), she is always generous about sharing her resources. Nichole is a powerhouse of great ideas and amazing work ethics. She’s extremely knowledgeable and capable in the realms of SEO, growth hacking, and community management, and every project she takes on ends up shooting into space. I am lucky to view Nichole as a mentor as I consider her to be THE expert in inbound marketing. Her years of experience in SEO are now paying off–she can grow a community like no other individual I’ve seen. I’ve watched her work her magic on Product Hunt, GrowthHackers.com, Inbound.org, and more, and could not be more impressed. Ever felt like you are achieving 20x more with your Customer Development process? We did thanks to Nichole! She’s very helpful in terms of uncovering hidden needs of your potential audience and really understanding what you actually have to build. Nichole is great. She really understands content marketing and the social media strategy to go along with it. In a short amount of time Nichole was able to add tremendous value, provide great ideas, and improve our results. Savvy and strategic, Nichole has helped us move our social and content marketing into gear. Her skills as a “growth hacker” are clear, yet they are in service to her fundamental belief that providing value is the best path to growth. Her ideas, strategies, and content reflect her integrity and her passion for the customer. Nikki offers great value for her Twitter campaign management and spot on writing skills. She consistently brought new followers to our Twitter account week after week. She was always on schedule with her articles plus she produced some of our best performing content. Our confidence in Nikki’s ability to deliver week after week gave our marketing team the freedom to focus on long term goals and projects.